Long term personal friend over 4 decades and an ardent supporter of our work. 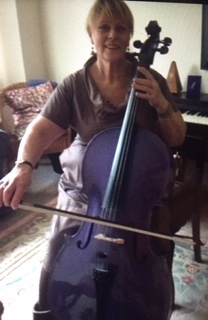 Cellist. She endured the rigours of the Upton Blues Fest this year in a tent – this shows commitment!